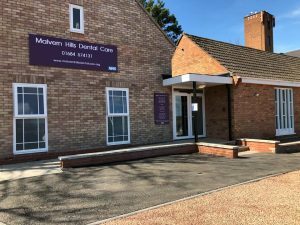 For all our Private and Practice Plan patients we also offer earlier morning and later evening appointments and occasional Saturday morning appointments. 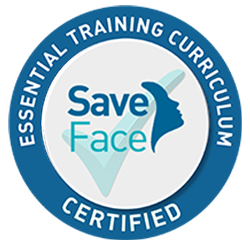 We only source our products from well-established aesthetic companies to ensure we offer the best and safest products available on the market to our clients. Dr Stassi Stavreva is a very experienced advanced aesthetic practitioner with an extensive dental background. She has been creating smile makeovers for many years. She understands and executes exactly what her patients desire, ensuring the highest quality, natural-looking results. We offer bespoke treatment plans specifically designed for patients’ individual concerns with thorough consultations. Very flexible appointments, and always available to contact regarding any questions or concerns. We like to make our patients feel as comfortable as possible and make it easy to open up about their concerns without feeling judged. Up to date with the latest products and technologies, education never ends for us. AMAZING women, AMAZING dentist. Stassi is an absolute credit to her profession! Not only is she incredibly talented, she is also the most personable dentist I’ve ever had the pleasure to meet. Instantly warming, caring and reassuring. Everything you want in a health professional when you’re a nervous patient. Highly recommended. Amazing very professional Dentist and also incredible beauty specialist!!! !I am so happy that I have had pleasure meeting. I will recommend you always as you are the best!!!! This is my second visit to Stassi �. I am so happy with my result after having my lips done only yesterday . I would highly recommend Stassi to all of my friends. I was really nervous about having needles / injections in my lips but stassi made me feel so comfortable and at ease hence my second visit. She explained the whole procedure from beginning to end which is something that helped with my nerves. The procedure itself was not uncomfortable and Stassi is so efficient. Guidance is always important from a professional, lots of girls rush into having huge lips too soon whereas Stassi is gradually building them over a period of time to ensure a more natural result. Loving my end result, cannot wait to apply my lipstick and post my picture!! �. Thank you so much Stassi , amazing! Absolutely incredible experience with Stassi at her All About You clinic. I’m so in love with my new lips have tonnes more confidence. I’m not a fan of needles but Stassi made me feel so comfortable. I couldn’t recommend her highly enough. You can call the practice and book for a free consultation.